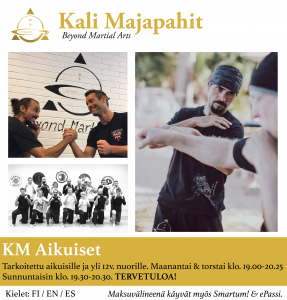 Welcome to our Kali Majapahit ADULTS classes every Monday, Thursdays and Sundays. 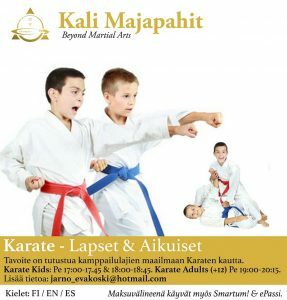 Discover this fun and effective Martial Art in an amazing atmosphere. 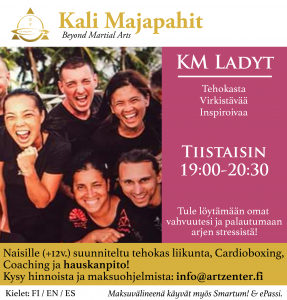 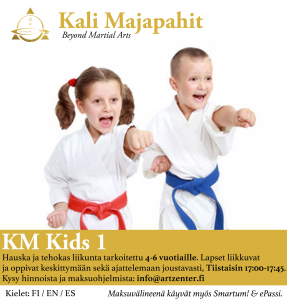 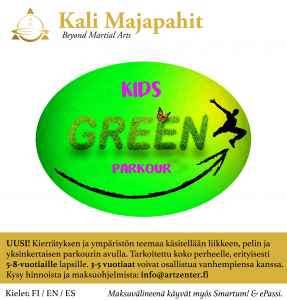 Conditioning, soft parkour, health & nutrition, personal development, leadership & Self Confidence, Self-control and of of course Martial Arts are the perfect combination of our classes at KM Academy Espoo. 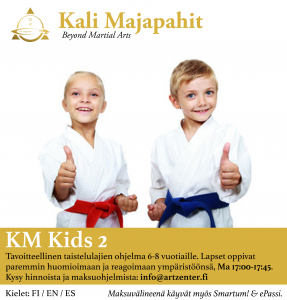 KARATE KIDS & ADULTS : New classes ! 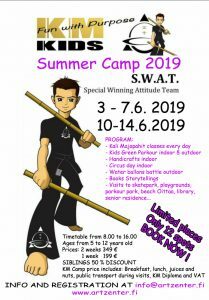 Welcome to our special Summer Camp 2019 full of activities and diversion!